Black Girl Mania: The Graphic Novel, written and illustrated by Chicago-based artist and community organizer bria royal, explores this dilemma and others in a near-apocalyptic and very literal “banana-republic” that combines stories from the author’s personal healing journey, afro-indigenous futurism, and comic book conventions to highlight one of the most commonly misunderstood aspects of bipolar disorder - mania. 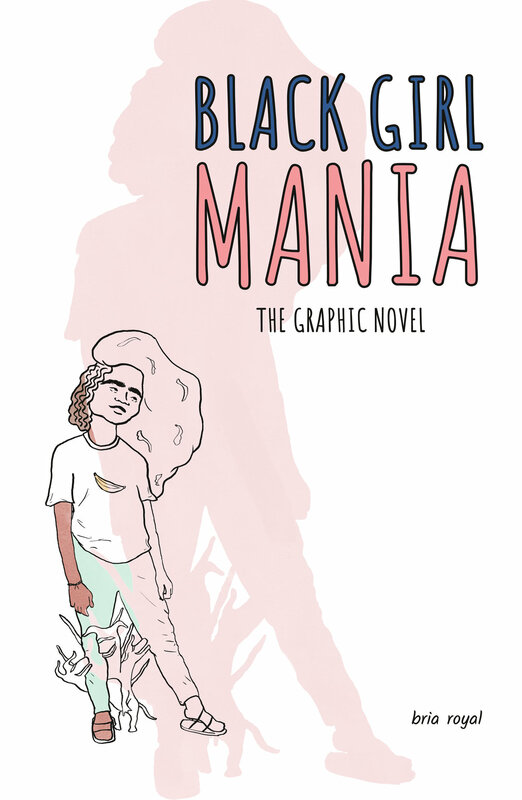 Black Girl Mania: The Graphic Novel will be available for expanded distribution beginning September 26, 2017. Support of locally owned and operated bookstores and distros is strongly encouraged. Check the left of this page for the most up-to-date list of endorsed distribution partners. For updates follow the Black Girl Mania Facebook Page. Episode 1: The Split - May 2016. Ep. 1 introduces the series back story. We meet Geminis and learn the story of how she became a world renowned Platanera - one of the world's most important botanist. The pressure of her new role triggers a split in her mood that changes her life forever. Episode 2: The Multiples - June 2016. After the split, Gemenis begins seeing Cerbero, a 3-headed chupacabras, who attempts to relate to Gemenis's recent experiences through a classic riddle.